Pretty busy weekend ahead in the bottom tier, and by the way things have gone so far? There should be some cracking fixtures. Once again, we’re expecting just the right salt-and-pepper mix of blowouts and nail biters! 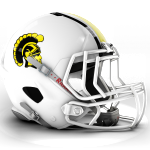 It’s been a rough start to the season for the Trojans, who sit at 0-2, having suffered a defeat to the Aberdeen Roughnecks for the first time in their history, after taking to the field with only twelve players! Any way you slice it, that’s a bad place for a team to be, especially this early in the season and no matter how many online commentators praise them for their willingness to play with so few players, it doesn’t reflect well on the sport. Clyde Valley started with a win, but have fallen to two consecutive defeats, including a heavy loss to the Hunters who they beat in week 1 and despite a large squad to open the year, there are already rumours for players competing on both sides of the ball for the Wishaw club. On that basis, both will be looking for a win on Sunday to push their season in the right direction. This is perhaps an unlikely top of the table clash, given the relative inexperience of the two clubs, but they’ve proved themselves to be the class of the Conference thus far, with the Hunters coming back from a close opening-day loss to move to 2-1 and the Roughnecks being one of only six teams in D2 with a perfect record after two or more games! What will please the Roughnecks most of all will be their defensive record, conceding only 6 points in their first two games, while scoring 47. Dumfries have scored 68 in their three games and not yet conceded more than two scores in a game, so the stage is set for a good one. I’m split on this one, but I think that with the threat of a mobile quarterback and with their growing confidence, Dumfries might edge it! Will be one to watch anyway and great to see two young teams heading in the right direction! Hunters to win. N.B. Carlisle have been unable to secure a venue for this fixture. The current plan is to flip the fixtures, this weekend’s game being hosted by the Romans. It’s top versus bottom as the Chester Romans take on the Carlisle Sentinels in the NFC 2 Central, and one first view it would be tough to bet against the Romans. Both sides have played the Halton Spartans this season. 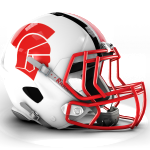 The Spartans travelled to Carlisle and picked a 38-0 shutout victory in Week 2 of the season – with Chester hosting Halton a week later, the Romans winning 30-0. That’s a 68 point swing against their common opponent. Carlisle has a 0-2 record suffering big defeats at the hands of both Halton and the Morecambe Bay Storm. Defensively they are giving up 42 points a game and scoring just 3 per game on offence. Their offensive problem continued in their defeat at the hands of Morecambe Bay and they’ve failed to score more than a touchdown in sixteen of their past eighteen games. Their 3-6 record of 2017 seems a distant memory in what seems a much tougher division – all of those wins coming against teams that are no longer in the NFC 2 Central. Chester, meanwhile, look the class of the NFC 2 Central, and we are already anticipating the matchup between the Romans and the Furness Phantoms in weeks ten and twelve of the season. Having made the play-off in the previous two campaigns after relegation from the Division One ball in 2015, the Romans will be eager to make no mistakes in 2018 and return to the middle tier. The Romans go to 2-0, whilst the Sentinels move to 0-3. Sharks have asked for this game to be pushed back to 24 June. Game postponed. Both teams are currently winless in the 2018 campaign and will be hoping to keep themselves away from the bottom of the conference. The Raptors struggles started in the first quarter of their first game when their QB broke his ankle, which has left them having to get used to a new leader behind centre. The small squad, with little depth, fought the heat of last Sunday against the Warriors and didn’t come out on top. Their defence spent most of the game on the field and with many of those players also playing on offence, they struggled to maintain consistency throughout the match. The Raptors did have a 70-yard drive down the field, which showed that they’re capable of moving the ball, but were unable to punch it in for 6. With some returners available for this game, the Raptors will be hoping that they can keep discipline and go back to basics to get the job done. When the Wyverns kept the game close against the Warriors, many (including myself) thought that they were potentially a team capable of competing for a postseason berth in their very first campaign… And whilst, of course, this is still possible, reality set in when they were on the receiving end of a loss against second-year team, Worcestershire Black Knights. The Wyverns allowed the Black Knights to score early on, but responded with a pass from QB, Tom Golden to his favourite WR, Matt Hadfield. This had the game close at 7-6 to the Knights at the half. Unfortunately, the Wyverns didn’t return to the field with the ‘mojo’ that the Knights did. Their offence struggled to click, which meant their defence spent too long on the field. The Knights rightfully took advantage of this and finished the game 34-6. Without a doubt, the Wyverns are able to fight: they showed this against the Warriors and the first half of the Black Knights. They need to ensure that they have the are able to keep this fight going through the whole match and adapt to changed their opponents make. I think the depth of the Raptors may be their downfall and the Wyverns are showing potential, even if their score lines aren’t supporting this. Somerset to pick up their first league win. The jam remains on top of the scones for now as the Trojans defeated the Cornish Trojans 26-0 in their last fixture. Having been at the game, the Trojans are loaded with talent, but seemingly looked rusty against a worryingly small Cornish Sharks squad. Rushing touchdowns from Head coach Guy Richardson and Cornish Import, Adam “AK” Kevern helped keep the score up. Their passing game was struggling and I hope that this has been ironed out over the past few weeks. Their offensive line contains ballers that have played mid- and top-tier balling before moving locally, such as Rich Christian, James Kittle and Sam Howells, meaning their QB should have plenty of time to sit back and make the right decision. In order to help improve their offense, the Trojans have just recruited Lydon Ward-Best, who has been involved with multiple teams in the South-West at all levels and has just moved from last year’s SFC 2 West Champions, Bristol Apache. The Trojans are perhaps most impressive on defence. Their defensive line is large and intimidating: having both Lewis Bowns and Plymouth Blitz’s Jonathan Edwards (who could both easily play in higher divisions) working together meant that the opponent’s offensive line crumbled resulting in multiple tackles, sacks and fumbles for the pair. Linebacker, Josh Reilly, made an impression early in the game with cracking hits and snatching the ball out of the quarterback’s hand! The Trojans are determined and having had plenty of time to improve (with a few more university players having joined over the past few weeks), I am convinced that the Trojans can show what they’re capable of. The Black Knights are currently sitting on two wins, which are both very convincing. Having scored over 30 points in both fixtures, it’s clear Worcestershire are aiming for the top spots and a first-ever playoff trip this year. However, having despatched a short-handed Raptors and new-to-the-league Wyverns, the Black Knights will now be facing their first real test in the Trojans, in a game that could very easily decide playoff berths, even this soon in the season! Early on in the first half, the Black Knights seemingly struggled against the Wyverns, having finished the half in the lead by only 7-6. Fortunately for them, their coaches’ experience and knowledge meant that they found a way to make the right adjustments and ‘flare’ up the team in preparation for the second half. They returned to the field as a different team and managed to successfully topple the Wyverns 34-6 – a very convincing score! 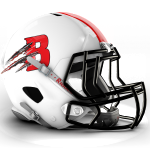 The Black Knights are riding high at the moment and will be taking this into their game against the Trojans. This will be a great match to see the Knights’ O against the Trojans’ D – they’re both very strong teams. This will be a close fixture, but Devon’s Torbay Trojans have already defeated Cornwall and I feel that they may also take Somerset on their way to trying to take the South-West Peninsula. Trojans to win. It was a tough opening game for the Swindon Storm, drawing last season’s conference runners-up in week one, with Portsmouth giving them a real welcome to the SFC 2 South. I’ve been told the game was closer than the 20-0 score line shows, but with Portsmouth scoring on offence and a punt return that would only happen in the movies, Swindon need to improve on all sides of the ball this week. Swindon only lost once at home all last season, which was to the eventual champions and promoted Bristol Apache in a hard-fought contest, so they will need that strong home form to continue this year if they are to achieve playoffs. With only 15 points conceded and putting up 172 on the scoreboard in those other 4 games, Swindon was no easy away trip. Swindon will needing that young defence to step up this week, learning from their mistakes and making a statement against the Cheetahs. “It was wonderful to see the squad so motivated to start the season the right way and we got to witness some truly impressive performances. However, we have little time to celebrate and we need to immediately shift our focus onto the next challenge”. I’m sure the players did celebrate though with there being lots to shout about, as you had Adam Adeniji rushing for three TD’s and 167 yards, rookie WR Tom McQuillin scoring his first ever TD before adding a 2nd and rookie QB Jake Barnes throwing for three TD’s. The Gunslinger got the nod for the first game and I’m sure after that performance that he’ll retain the starting spot. This week has a lot riding on it in a division that is so close at the top. Hertfordshire will know they need the win here to keep pace with Portsmouth and Swindon need the win to arguably stay in the competition at the top, so it’s a huge game for so early in the season. With Hertfordshire hitting the ground running in their opener and Swindon not getting up to speed, I’m going with the Cheetahs this week. This week we have two 0-1 teams facing off, who are looking to get back to .500, with the Conquerors travelling to the Bobcats. Bournemouth have had a four week break since a tough 27-0 loss in Week One to Portsmouth, but with two fumbles inside their own 5 yard line leading to scores and a third off a pick inside their own half, the Bobcats were left wondering as to what could have been. With the return of Duncan “The pocket rocket” Ross to the defence and uni ballers to the side, the Bobcats are now back to full strength this week. This fixture was 1-1 last season with Hastings surprising the Bobcats in the reverse game, so they’ll be wanting to correct the result and go 2-0 this season. 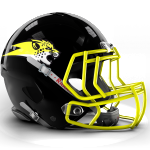 To do this the Bobcats will be looking to WR Jason Griffith to stretch the field and put some points on the board for the home side. Competing with a squad that is double the size and has some very talented players is always going to be a challenge, as the Conquerors found out last week against the Cheetahs, but I do believe there was a lot to build off. The Hastings defence prevented a further 10 points in 2 point conversions against the Cheetahs and the offence added a score of their own, avoiding a shut out. So it’s not all doom and gloom. With the offence completing a pass on their first play, they knew they could move the ball. The Conquerors did have TE Dan Lock making a number of catches and WR Carl Alsop taking in a 20 yard grab from QB Jake Beale later in the game, so they’ll be looking for more of the same this week. The team are glad to have Sam Eldridge returning to the defence, after some time away, who made tackles all over the field last week. I’m sure the Conquerors will be up for this one and shocking the Bobcats once more, however after conceding 70 points in week one, even with a depleted squad, I’m picking Bournemouth this week who are at full strength. N.B. Lots of great depth and detail from Joe here. Sadly he misread the schedule! The entire division had a bye week last Sunday and this fixture is a curious battle between two surprising teams. In their last outing, the Norwich Devils impressed in several different facets of the game – but had prominent issues that need addressing urgently. 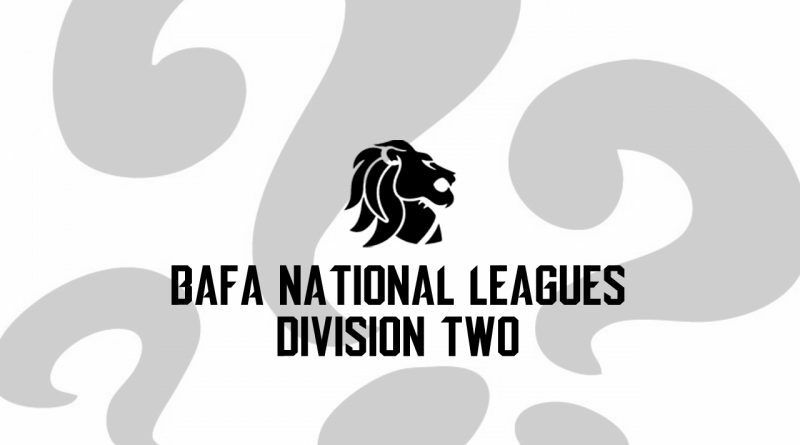 Run with military regimen at times, and laughably amateur at others, the team can be forgiven for the few teething issues as they performed admirably against the heavily favoured Blitz B a fortnight ago. Good numbers, good size and good players have laid a strong foundation built on the play and passion of a few key pieces. Number 13 Adam Jones was not only the best player on the Devils sideline against the London team -but was easily the best and most athletic player on the entire pitch. An impressive long TD early in the game from Jones kept the rookie outfit in the game but a quick adjustment to the Blitz game plan soon took the dynamic playmaker out the equation as he saw double coverage for the remainder of the game. This did not stop QB Andre Belles-Flores looking for his favourite target on several attempts, throwing risky passes, holding on to the ball too long at times and throwing interceptions. Still, the American Import signal-caller clearly has exceptional upside, a broken play followed by a perfectly thrown out-route showcased his potential and arm strength. Whilst he had an abundance of field fashion (hand warmer in May, anyone?) the issue for the devils was his lack of support. With an enormous, and skilled, offensive line doing their job well, the blitz-heavy defence from London exposed gaping weaknesses in the pass pro scheme, with edge blitz’s pressuring the talented QB. With no sign of a running game, and RBs that seemed either incompetent or confused by the concept of blocking a LB, the offence struggled. That being said, the O managed to put several scores on the Blitz in an impressive offensive shootout that made for an entertaining game. The defence on the other hand is a different beast entirely. Believe it or not, I don’t enjoy slating teams who work hard and try their best, but this must be said. The defence of the Devils needs a lot of work. The defensive line was largely neutralised, with solid D tackles made ineffective by the inability of the defensive ends to either beat their blocker or set an edge. On one play, the defensive end was flattened instantly by the Blitz LT which led to the QB scrambling out the pocket for an easy 30 yard gain. Undersized linebackers, poor tackling, slow corners and inexperienced safeties meant the competent offence was kept off the field for large portions of the game. The team has athleticism and fantastic potential, but is far from the finished product. Their opponents for the next game come in the shape of the Ipswich Cardinals, who have been the only team, so far, this season to prove my prediction wrong. With almost a month off, the team is well rested and must be chomping at the bit to get back on the field this weekend. In their game against the Spartans, the team were led by solid play from QB Matt Agate and the rushing combo of Johnny Rodgers and Henri Clements. An early 60 yard touchdown gave them the lead and the young squad held on for a one-point win. Despite some mistakes, a safety and sacks gave the team some momentum as the game progressed. As the Spartans mounted a comeback and snatched the lead in the fourth quarter, the backs of the Cardinals were up against the metaphorical wall in true fashion. The Essex outfit looked to close the game out but an incredible 4th and 10 grab from the spectacularly named Fab Ortiz Barrs tied the game. 14-14 heading towards the final whistle, and with the extra point still to go kicker Brad King stepped up for the extra point, after missing one earlier in the game. He converted the XP, and it turned out to be the deciding score. 15-14 in the dying minutes of the game and a game-sealing interception from pass-catching sensation Ortiz Barrs gave the Cardinals their first W (and my first L) of the season. Dubbed the East Anglia Derby – I prefer the Old Farm match-up myself – it could be a too close to call affair. I know the Devils weren’t pleased with my last preview, but I won’t be picking them here until they address the major concerns I have over their one-dimensional offence and sub-par defence. I don’t think the Devils D will be able to cope with the Cardinals rushing duo and the Agate-Ortiz Barrs connection. After giving them a rough time last time out, I will give this one to Ipswich in a high-scoring affair. We’ll try to get something together for the MAIDSTONE-Ipswich game shortly. The Spartans started slow, with an upset loss to the resurgent Cardinals. With two weeks to lick their wounds and heal their pride, the promising team got a momentum boost in their big win against Maidstone. Their one-point loss in Week One turned into a Week Three 40-0 stroll in the park. Without breaking a sweat, the team went to 1-1 and now face their in-county rivals in a key game to get their season back on track. Essex looked rusty in their first game, conceding an early 60 yard TD up the gut and failing to seal out the game when leading in the fourth quarter. Little things built up to work against the Spartans -fumbled hand-offs and conceding a safety are the things that they need to focusing on drilling out of existence in training. However, the defence was strong, and the offence put together methodical drives to march down the field on a talented Cards D. A key question the Spartans face now, is what team will they put out on Sunday? Will it be the team that choked and lost to the Suffolk side? Or the team that dispatched the Pumas without so much as a second thought? Across from them, East Essex has only played one game, against the aforementioned and much maligned Maidstone Pumas. In their lone outing this season, QB Mike Muldoon threw two TDs to Mick Naumann, added another score on the ground and tossed FIVE 2pt conversions. FIVE. The defence, led by Jack Shepard, also added three scores to the tally. With a small sample size, it remains hard to gauge the Sabres as they head into the game against the Spartans. I consider this to be somewhat of an acid test for the young team. The VERY local derby will see the Spartans travel the whopping 15 miles down the road to Thundersley and picking this one is a tricky business. With both teams destroying the lowly Maidstone outfit I have decided to just discount those particular fixtures, which leaves me with only the Spartans loss to the Cardinals to work with. Whilst my gut backs the Spartans, my head can’t let me pick them based on a loss to what I’d otherwise consider a so-so team in this conference. Sabres to claim a narrow victory and the County boasting rights… for now.